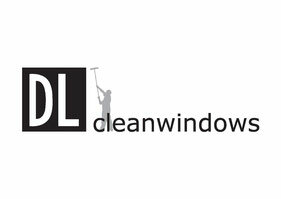 Dan and Louise are a husband and wife team providing window and exterior cleaning services. We are committed to providing a quality, reliable service. That's why we offer a 100% satisfaction guarantee. Just get in touch on the same or next day of your clean and we will return and re-clean. Window and exterior cleaning services in Exeter, Cranbrook, Whimple, Rockbeare, Clyst St Mary, Clyst St George, Westhill and Ottery St Mary. Residential and commercial clients, we can provide a tailored solution to suit your requirements. Proud to be Exeter's first BUYWITHCONFIDENCE window cleaner, and being vetted and approved by trading standards officers. Due to high demand Leigh has joined the team to provide window cleaning in Exmouth and Budleigh Salterton. We are expanding further to East Devon so please do get in touch if we haven't listed your area above, and don't forget to ask your friends and neighbours! Leigh high reach commercial window cleaning in Southernhay Gardens, Exeter.